Over 30 galleries from the CEE region are going to participate at the debut edition of viennacontemporary. "The numerous new applications, the participation of renowned galleries and the on-going accreditations of international collectors accentuate, more than ever, the importance of Vienna as an attractive venue for contemporary art. Up-and-coming galleries from East and West regard viennacontemporary as a steppingstone into the international art scene, and after repeated participations, renowned galleries have come to appreciate Vienna as a rising international art market place and art hub between East and West. A consolidated focus on galleries from Eastern Europe, the participation of almost all leading Viennese galleries, and a compact complementary program make viennacontemporary 2015 one of the highlights of the international fair calendar," Christina Steinbrecher-Pfandt, artistic director of viennacontemporary, states with regard to this year's edition of the international art fair. "Our commitment to viennacontemporary has not faded. I have a grand vision: viennacontemporary, without a doubt the leading art fair in CEE, stands for mediation between East and West and offers a platform for exchange and discussion. The success of our work in 2014 clearly underlined how important that is. Today, I can proudly say: our art fair in Vienna is one of the major European platforms for the established art markets of Western Europe as well as for the emerging markets in Eastern, South-Eastern and Central Europe." Dmitry Aksenov, chairman viennacontemporary. The fact that Vienna is a promising market place for contemporary art is emphasized by the list of participating, internationally renowned galleries. After his successful first participation in 2014, Volker Diehl (DIEHL, Berlin/Moscow) has once again opted for viennacontemporary and will present the art collective Alliance 22 from Moscow in Vienna. Dittrich & Schlechtriem from Berlin have paused for two years, but the successful development of viennacontemporary is a good reason for the gallery to return to Vienna in order to present, among others, Julian Charrière and Julius von Bismarck at Vienna's international art fair. Another signal of the importance of viennacontemporary in the international fair business is, once again, the participation of KOW and Galerie Crone, both from Berlin. But also the repeated participation of galleries from the focus region Eastern Europe highlights the relevance of viennacontemporary, as many collectors specifically come to Vienna to enhance their knowledge on the development of the Eastern European art scene. Besides four other Lithuanian positions, Galerija Vartai from Vilnius will present, for the first time, a Vienna- based artist this year, showing works from Lilli Thiessen. Iragui Gallery from Moscow will explore the traces of Suprematism in contemporary Russian art by presenting current positions such as Nikita Alexeev, Viktor Pipovarov, and Pavel Pepperstein. Also Temnikova & Kasela from Tallinn have found their way from Vienna to the international art scene and will present Estonian artists Krista Mölder and Flo Kasearu as well as Lithuanian artist Inga Meldere. Another significant indicator that Vienna has been successfully positioned in the international art calendar over the past years is the fact that the major Vienna galleries will yet again participate in viennacontemporary. With its presentation format REFLECTIONS, viennacontemporary underlines the curatorial aspect of gallery work and offers participating galleries a particular presentation platform for exhibitions that have been specifically conceived for the fair. Geukens & De Vil from Belgium (Antwerp/Knokke) will take advantage of the new format to show Sophie Kuijken and Gideon Kiefer, two artists dealing with human identity and existence in a doomed world. Galerija Škuc will present three artistic positions, Alban Muja, Jasmina Cibic, and Matej AndražVogrinčič, at REFLECTIONS; three artists who reflect socio-cultural contexts of local political situations in their site-specific works. Galerija Photon will try to track down the spirit of Dadaism and Surrealism in 20th century photography in Eastern Europe and present Ladislav Postupa, Stane Jagodič, and Roberto Kusterle. Daily routines and constraints we are hardly aware of anymore, form the basis for the exhibition concept of Galerija P74, which will be highlighted by works of Jože Barši, Polonca Lovšin, and Uroš Potočnik. Warsaw-based Propaganda Gallery, which will participate for the first time, will present three young artists, Tomasz Kulka, Jakub Ciężki and Adam Jastrzębski, who deal with processes of transience, both in society and nature. Ingo Nussbaumer, represented by Galerie Hubert Winter from Vienna, will present his artistic research in the area of color theory with a general booth installation at viennacontemporary. Also at the new venue, Marx Halle, viennacontemporary will allow for galleries to present young artists in solo exhibitions at special conditions. ZONE1, which up to now has been restricted to Austrian galleries, will also be open to international artists this year. Nicola von Senger Gallery from Zurich has chosen Vienna- based artist Drago Persic, born in Banja Luka in 1981, who studied at the Academy of Fine Arts Vienna (master class Muntean/Rosenblum, Elke Krystufek, Hans Scheirl). Andy Boot, born in Sydney in 1987, has graduated with Heimo Zobernig (Academy of Fine Arts Vienna) and will be represented by Galerie Emanuel Layr at ZONE1. Also Galerie Ernst Hilger will present a graduate of the Academy of Fine Arts Vienna, Coco Wasabi, born in Vienna in 1984. First-time participant Loock Galerie from Berlin will present Ivan Grubanov − his installation "United Dead Nations" is currently on display at the Serbian Pavilion at the Venice Biennale. Mario Mauroner Contemporary Art has opted for Ulla Rauter. The graduate of the University of Applied Arts Vienna, born in Wiener Neustadt in 1980, now works as a lecturer at the University in the Department for Digital Art. Albert Mayr, born in Sankt Pölten in 1975 and graduate of the master class Peter Kogler, will be given a platform at ZONE1 by Galerie Martinetz from Cologne. All in all, fair newcomer One Work Gallery from Vienna will show four solo presentations during the fair. For one day each, artists Nana Mandl, Titania Seidl, Philipp Fleischmann and Daniel Ferstl will be on display. Karin Fisslthaler, born in Oberdorf/Salzburg in 1981, a Kunstuniversität Linz graduate, will be represented by Galerie Raum mit Licht, which will show her works at ZONE1 for the first time. Born in Genoa in 1977, Aldo Gianotti has been living in Vienna since 2000. Before, he studied at Carrara, Wimbledon and Munich. He will be represented at ZONE1 by project space Viktor Bucher. Also this year, the Austrian Federal Chancellery will support the participating young artists from Austria. After the focus countries Azerbaijan, Georgia, Kazakhstan, Ukraine and Belarus (2012), Georgia and Poland (2013) and Azerbaijan (2014), viennacontemporary is taking a look at Bulgaria in 2015 with "Focus Bulgaria". Upon the initiative of Elena Todorova, president of the Hugo Voeten Collection Gheel/Belgium, Iara Boubnova, curator, art critic, founding member and director of The Institute of Contemporary Art Sofia, Vessela Nozharova, curator of Art Affairs and Documents Foundation Sofia as well as Vesselina Sarieva and Katrin Sarieva, founders of Open Arts Foundation and Sariev Contemporary Plovdiv/Bulgaria, this year, "Focus Bulgaria" will present a representative selection of contemporary Bulgarian art from private collections and major Bulgarian galleries. Besides the gallery presentations and a special program, the art fair puts special emphasis on offering a comprehensive service to Austrian and international collectors, both at viennacontemporary as well as for the duration of their stay in Vienna. "I am particularly pleased that besides private persons, we will also be able to welcome many collector groups from renowned museums and private art initiatives in Vienna," Renger van den Heuvel, managing director of VC Artevents GmbH comments on the current accreditations for visits to viennacontemporary. Among the organizations offering a visit to viennacontemporary to their members and clients are Art Lovers Club, Deutsche Bank and Alphazirkel - the forum for family entrepreneurs from Germany, Art Fund and the Russian Eastern European Acquisitions Committee of Tate (REEAC) from the UK, UBS Group (Switzerland), Kentucky Museum of Art and Craft from the US as well as SAHA Foundation Istanbul, On Fair from Italy, La Fugue from France and the Friends of Zacheta National Gallery from Poland. Also Viennese museums and art institutions will offer guided tours of viennacontemporary. With its complementary program, viennacontemporary offers all interested visitors the chance to acquire in- depth knowledge about contemporary art and to find out more about renowned international art collections. The discussions with the title "Keys to Contemporary Art" − co-curated by Christina Steinbrecher-Pfandt, artistic director viennacontemporary, and Nicolaus Schafhausen, director of Kunsthalle Wien − that will take place during four days at Marx Halle will range from the beginning re-discovery of avant-garde movements in Eastern Europe, the influence of contemporary socio-critical art and the performative strategies of current art production, to the concepts of interpretation of contemporary art at museums and art spaces. Under the title "Contemporary Art Futures: Redefining the Role of Applied Art Museums", Christoph Thun-Hohenstein, director of the Museum of Applied Arts Vienna (MAK), will talk with Aldy Milliken, director of the Kentucky Museum of Art and Craft, Louisville (Kentucky/US) about the new permeability between fine and applied art. As more and more artists choose a cross-disciplinary approach, also museums have to answer newly arising questions regarding the presentation of collection and the role of craft in contemporary art. In his talk "How Does the Art World React to Challenges and Changes in Society", Nicolaus Schafhausen, director of Kunsthalle Wien, will, together with Bassam El Baroni, freelance curator and art critic from Alexandria/Egypt, explore how art today reacts to chances and challenges in a globalized and digitalized world, how it defines its role in society and what strategies it develops. During the talk "Rediscovery of the Avant-Garde", led by Rainer Fuchs, deputy director mumok (Vienna), Maria Rus Bojan, curator and art counselor from Amsterdam, Kathy Battista, curator of the exhibition "E.A.T. - Experiments in Art and Technology" at the Museum der Moderne Salzburg, Emese Kürti, art historian and lecturer at the department for exhibitions at Ludwig Museum Budapest and Marika Kuzmicz, head of ARTon Foundation (Warsaw) will talk about the beginning rediscovery of avant-garde movements in Eastern Europe. Martin Roth, director Victoria and Albert Museum (London), will talk about contemporary art as the driving force for the renovation of cities and the influence and importance of art and culture initiatives on future developments with, among others, Olivier Gabet, director Musées Des Arts Décoratifs (Paris), Natalia Fishman, counselor to the President of the autonomous Republic of Tatarstan for development of public space and Alistair Spalding, artistic director Sadler's Wells Theatre (London) in "Urban Development & Contemporary Culture". After the discussions, interested visitors can join special guided fair tours with concrete examples of contemporary art production, related to the various topics addressed. In the context of “20four7”, taking place at 2:00 pm each day, international collectors from East and West offer insights into their strategies towards buying art and presenting their collections. So far, the following have, among others, confirmed their participation: Ovidiu Șandor, founder and president of Art Encounters Foundation (Timisoara/Romania), Luba Michailova, founder of the centre for art and culture Izolyatsia (Kiev/Ukraine) and collectors Ingrid and Thomas Jochheim from Berlin. Berlin-based collector Ivo Wessel is the first speaker confirmed for the "Young Collectors Talk", chaired by Christina Steinbrecher-Pfandt. More participants to be announced. 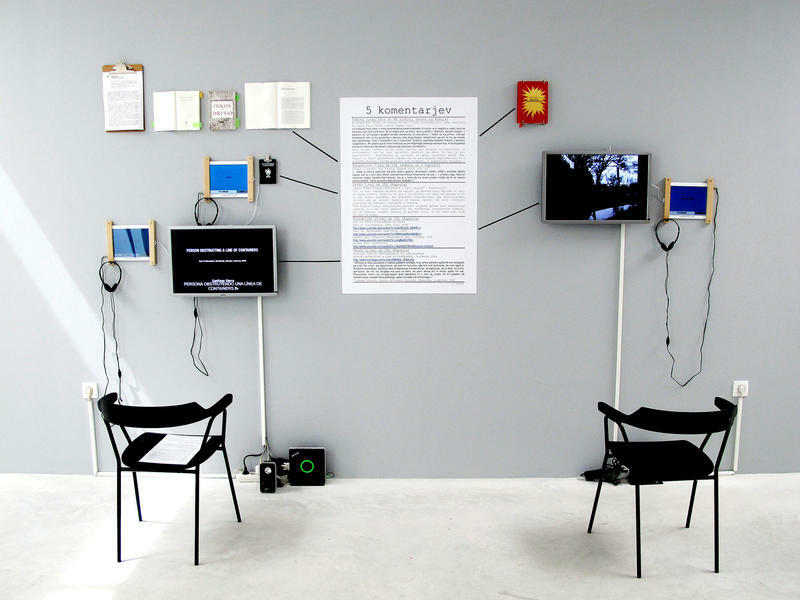 With its project curated by_vienna, departure – The Creative Center of the Vienna Business Agency, has been supporting the systematic cooperation between Vienna contemporary art galleries and international curators since 2009 and, at the same time, has been closely working with viennacontemporary. The motto of curated by_vienna 2015 is "Tomorrow Today", which will be opened on 10 September. "curated by_vienna has become an integral part of this city's cultural calendar. This year, we will inaugurate the autumn of art and continue way into viennacontemporary, which will open at the end of September. The year-long cooperation with viennacontemporary aims to take advantage of synergies in order to position Vienna as a hub for contemporary art production also on an international level," Elisabeth Noever-Ginthör, Vienna Business Agency, head of departure, states with regard to the on-going cooperation. Besides offering extensive programs to representatives of the art business, artists and collectors, viennacontemporary presents itself as an art fair providing an uncomplicated and enjoyable approach to contemporary art. The "Gold"-guided tours stand for a cross-generational dialog on contemporary art. Besides the solo presentations on display at ZONE1, people of all ages - young Austrian artists and senior citizens - will meet to exchange their thoughts and views on contemporary art. viennacontemporary puts particular emphasis on students and, also this year, offers special guided tours with art experts for students. Students and fair visitors will have the opportunity to gain valuable insights into curators' expertise on contemporary art and to discover the fair from a different perspective. Access to viennacontemporary will be free for students from 3:00-6:00 pm upon presentation of a valid student ID. Moreover, viennacontemporary offers art education for art lovers of all ages. As part of the family program, adults and children (aged 2 and above) will have the chance to explore their creativity and different painting techniques as well as tools at an open painting studio, in order to bring color, form and movement to paper.